Biblical Counselling UK is pleased to announce a new publishing initiative, Gospel Hope for Life, in partnership with IVP. 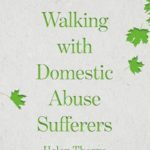 The first book in the series, Walking with Domestic Abuse Sufferers, is by Helen Thorne. Steve Midgley, Executive Director of Biblical Counselling UK, spoke to her about her reasons for writing. 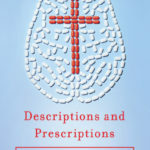 The world of psychiatry can seem a confusing place to those of us not medically trained. 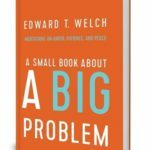 In his short, accessible, book Mike Emlet helps us engage with those who have received diagnoses – and their families and friends – with wisdom and care. The Bible is the bedrock of biblical counselling. 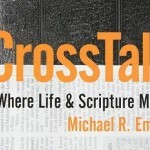 But, as Mike Emlet observes in his book, CrossTalk, there are two things which we often struggle with when we try to share Scripture with others. 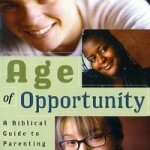 Age of Opportunity by Paul Tripp is written for Christian parents of pre-teens and teenagers. This book encourages parents to look firstly at their own hearts, allowing God’s word to penetrate and transform them, and after that their parenting.